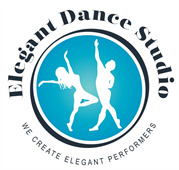 Welcome to Elegant Dance Studio! Please complete the following registration form. As the legal parent or guardian, I release and hold harmless Elegant Dance Studio, its owners, instructors and operators from any and all liability, claims, demands, and causes of action whatsoever, arising out of or related to any loss, damage, or injury, including death, that may be sustained by the participant and/or the undersigned, while in or upon the premises or any premises under the control and supervision of Elegant Dance Studio, its owners and operators or in route to or from any of the said premises. I have read and understand the full studio policy and rules that is published on the Elegant Dance Studio website. The undersigned gives permission to Elegant Dance Studio, its owners and operators to seek medical treatment for the participant in the event they are unable to reach a parent or guardian. I hereby declare any physical/mental problems, restrictions, or conditions and/or declare the participant to be in good physical and mental health. I request that our doctor/physician be called and that my child be transported to the hospital. I hereby grant Elegant Dance Studio the irrevocable and unrestricted right to use, reproduce, and publish photographs of my child for editorial, trade, advertising, or any other purpose or manner or medium. I hereby release Elegant Dance Stdio and its owners and teachers from any and all claims, actions, and liability relating to its use of said photographs. I understand that my full name below is considered an electronic signature and is binding per the Electronic Signature Act of 2000.